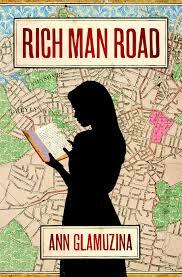 Sometimes I read a novel which makes me realise just how privileged my life has been – and Rich Man Road is such a novel. It is not a literary masterpiece but the parallel stories of Olga and Pualele, two girls from different countries who end up as migrants to New Zealand – and who later meet in a Carmelite Convent – are totally compelling. Olga was living in a Dalmatian village in World War Two during German occupation. A misunderstanding (for which she will forever feel guilty) sees her and part of her family fleeing their home, spending time in a refugee camp in Egypt, and eventually joining up with her father and brother in Auckland. Her story is told through her diary – which Pualele reads after Olga’s death. Alternating with Olga’s story is that of Pualele, who reluctantly travels to Auckland from Samoa as a child and who struggles in her new country at a time of racism and dawn raids. The two stories echo each other as the young girls struggle with guilt, a loss of identity and separation from their mothers – one physically that other psychologically. Glamuzina has captured the innocence, goodness and strength of the two girls, and despite both of them questioning their faith it is believable that both of them would seek refuge in convent life. The title is taken from a lovely misunderstanding; when Pualele first arrives in Auckland she is fleetingly optimistic when she hears she is going to live in Rich Man Road (Richmond Road). It is a sad and lovely read.